The Call of Duty franchise has been a weird entity in my eyes. It is one of the largest franchises of the past decade, yet it bounces back and forth between development studios with each installment into the series. This results in an uneven experience from game to game with slight changes in the campaign structure, weapon feel, and character movement. The whole Call of Duty experience seems disjointed, when it should be a slick machine by now. Treyarch, the stronger team in my eyes, has the reigns this game and has created an interesting universe in Black Ops 3. The Call of Duty package this year is huge; there are tons of modes to navigate through various menus. 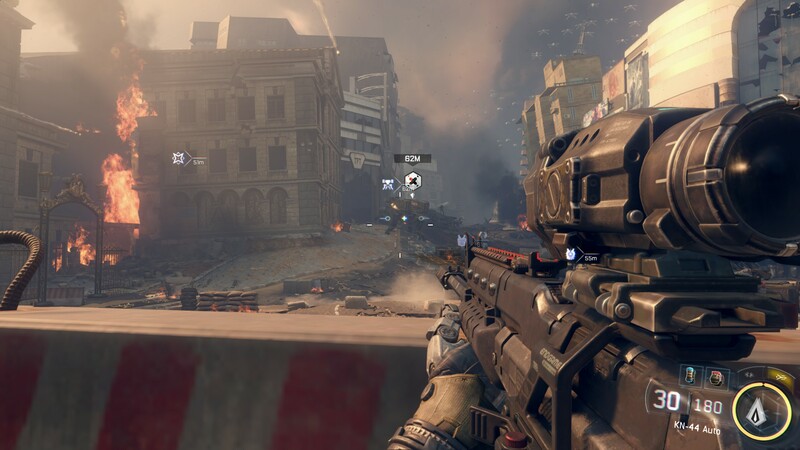 The campaign itself has its own high score training missions, the zombies mode has been buffed, and the multiplayer hosts a multitude of game modes where you can shoot people in the head. I’m going to focus heavily on the co-op portions of the game as it is our niche here on the site and there are dozens of other editorial teams who have already focused on the competitive modes. The co-op experience in Black Ops 3 is decent, between the campaign and zombie modes there is tons to do. Up to four players can participate across the campaign’s 11 levels. They have added a lobby for players to suit up before a mission, check their fake email on a web terminal, as well as read a wiki which houses the only reference to the Black Ops storyline. With co-op gameplay comes the incapacitated state, complete with a revival system we have seen across every co-op shooter. The game isn’t particularly difficult but the revive system is a nice safety net to have when you run into a tough scenario. 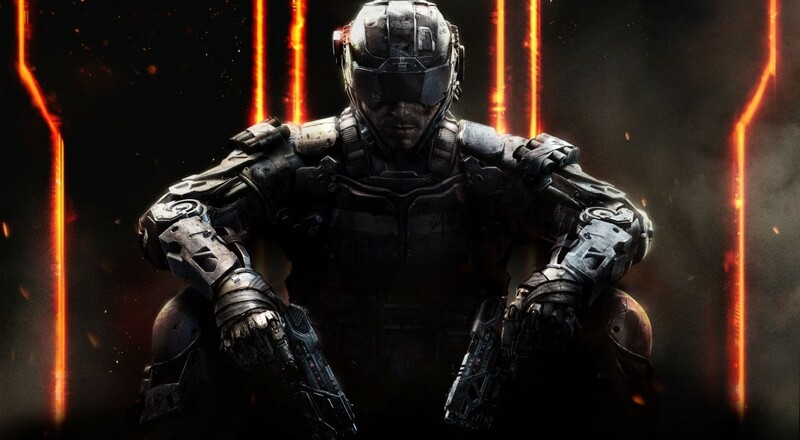 Black Ops 3 is set so far into the future it doesn’t even feel like a sequel to the previous games. You begin by creating your very own nameless character who is a relatively normal soldier in a generic feeling Call of Duty story. The story centers around the DNI, or direct neural interface which is a computer installed into your brain after the prologue. This changes the feeling from a typical military shooter and twists Black Ops 3 into something a little more science fiction. There are some small nods to the universe, but there is barely a connection to the previous campaigns. 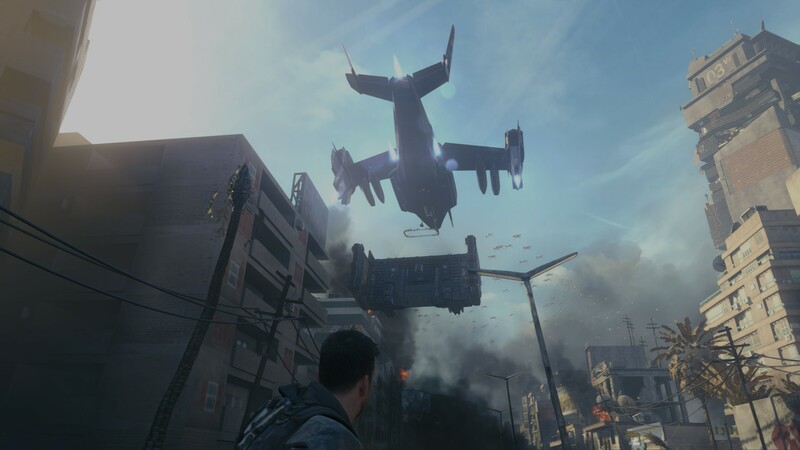 Where we saw branching paths in Black Ops 2, there is no effort to replicate this in Black Ops 3. The game berates you with the notion that you are able to approach each skirmish multiple ways but whether you take out dudes from above or below doesn’t effect the story. This results in a dull campaign experience when compared to the other games in the series. There are some interesting moments but the whole story is kind of weird. It traverses new territory with mind control and the whole theme of technofear. However, the boring characters and poor writing can’t really change the fact it is a military shooter with sci-fi seasoning. Being in the future also comes with some fun gadgetry to play with on the battlefield. As soon as your DNI is installed the training mission following has you destroying robots and humans alike using mind bullets. There are three trees of cyber abilities at your disposal in the campaign which leads to some deadly combinations when you spread the powers across your co-op group. I mean, some people just want to use cybernetic bees to eat the flesh of their enemies and others want to be an electric ninja who can palm strike robots in quick succession. All abilities, weapons, and perks are unlocked using points earned throughout the campaign so you are free to customize your blank slate of a character to your liking. The new DNI HUD allows your to see through cover, gives warning of explosives, and a weird grid system covering the ground to let you know if an area is safe or not. Even though it can be switched on and off, the HUD feels cluttered at times but can also be tailored to have less information on screen depending on taste. Jump jets also come packed in the game which allow for quick boosts, slides, and high jumps. The wall run is new to Black Ops 3 and although fun it will quite often get you into trouble. With the changes to the locomotion from last years game there seemed to be something not quite right in Black Ops 3 and I was always wanting to do something I couldn’t and would mess up a slide or jump when attempting to go somewhere. Moving on to the zombies; things haven’t changed too dramatically. I’ll admit standard zombies in the Call of Duty games was never my favorite past time, but there is something to be said about the popularity of this survival mode. There are walls to be built, gumballs to unlock, and elixirs to drink which grant all types of bonuses to fight off the undead. Again, all of these are unlocked through a separate experience system specific to zombies. I’m not sure why Treyarch opted to have a progress bar for each mode, as it seems quite unnecessary and it makes keeping track of unlocks quite cumbersome. A Lovecraftian theme sets the stage for up to four players who need to survive as many rounds as possible. Zombies have become undeniably complicated this year as weird hidden puzzle tasks have been added to change things up. The solution lies in one player becoming an eldritch-like monster who is then required to bash, climb, or shock various elements in the environment in order for the team to progress. Even though zombies are not my usual go-to mode, it is a fun distraction from the campaign and multiplayer. An interesting addition in Black Ops 3 comes in the form of Nightmares mode. Upon completion of the campaign all of the robots in the game are replaced by zombies, and the loadout boxes throughout the level become weapon pickups. The cut scenes remain the same, with the exception of the voice over being a doctor telling you need to fight off an undead menace. It is a cool bonus and something we haven’t seen in the franchise yet. 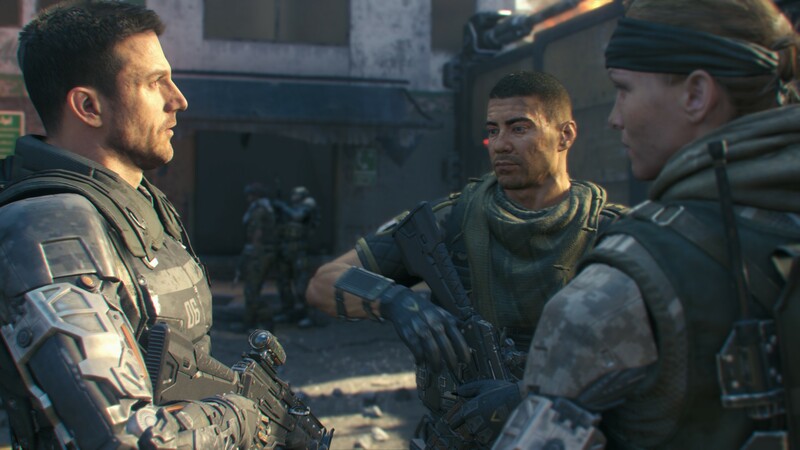 Multiplayer in Black Ops 3 remains a decent twitch shooter. The locomotion and mobility options are definitely a highlight with things like wall running and boost jumps only being possible with the cybernetic add ons to soldiers. You can get around pretty well but the maps don’t lend themselves to any advanced traversal. The inconsistency between titles sticks out here as Black Ops 3 was lacking the boost strafe from last year’s Advanced Warfare. Classes have been added to the mix, with 9 different ‘specialists’ bringing their own special abilities to the fight. 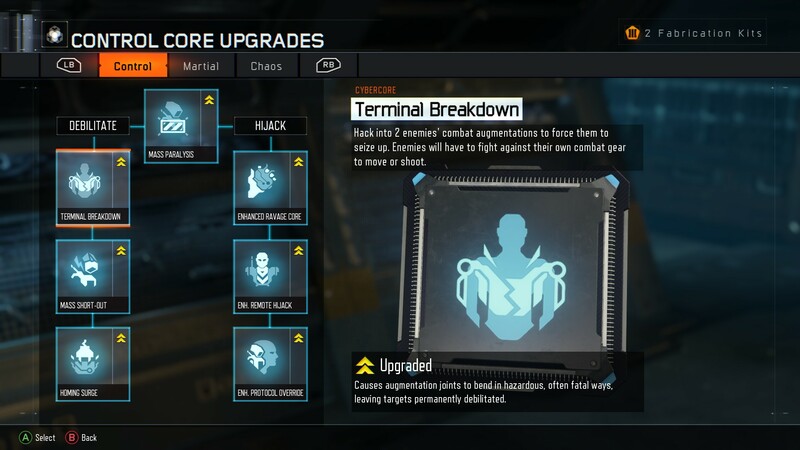 Each specialist has 2 variations and the abilities charge over time. They are fun to use and experiment with but they don’t drastically change the pace of the game. The tweak I found to be most disruptive was that melee attacks are no longer a 1 hit kill. What seems to be a small change throws off the flow of multiplayer. 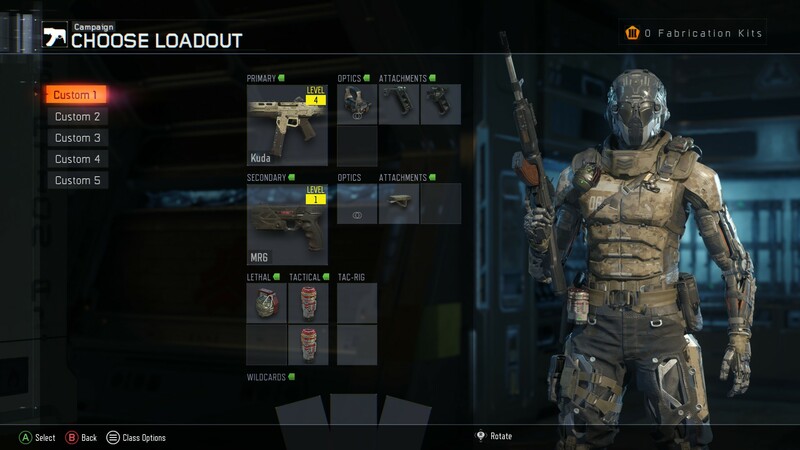 Black Ops 3 has a ton of content to explore and it is quite diverse for a Call of Duty game. It may be the largest package in a shooter to date. The changes to the multiplayer and stale campaign don’t make this iteration stand out at all and I’m a little disappointed there was no connection to the previous games in the franchise since they were trying to do something different. The movement options are good but fall short of last year’s sci fi-military shooter. The overly complex zombie mode is another weird change to a previously solid mode. The changes all culminate to make for an overall weird experience, one which you can sink a ton of time into with all the modes. Page created in 0.3098 seconds.